What is StormTrack Center Live? Are extended car warranties an expensive gamble? WASHINGTON (AP) - The financial condition of the government's bedrock retirement programs for middle- and working-class Americans remains shaky, with Medicare pointed toward insolvency by 2026, according to a report Monday by the government's overseers of Medicare and Social Security. It paints a sobering picture of the programs, though it's relatively unchanged from last year's update. Social Security would become insolvent in 2035, one year later than previously estimated. NEW YORK (AP) - A jury was selected Monday to hear evidence in the trial of an aspiring agent and a former amateur coach charged with bribing big-school coaches to boost their business prospects with amateur basketball players. Opening statements by lawyers were scheduled to occur Tuesday morning in Manhattan federal court in the trial of business manager Christian Dawkins and ex-amateur league director Merl Code. WASHINGTON (AP) - President Donald Trump's efforts to reshape the Federal Reserve stumbled on Monday, with one of his potential nominees for the Fed's board withdrawing from consideration and another being enveloped by fresh doubts. PORTLAND, Ore. (AP) - The remains of a World War II soldier from Oregon who went missing in the final weeks of the Guadalcanal campaign have been positively identified 76 years after he was listed as missing in action, according to the U.S. government. Skeletal remains recovered two years ago on the Solomon Islands in the South Pacific are those of Pfc. Dale W. Ross, according to a statement from the Defense POW/MIA Accounting Agency. SPOKANE, Wash. (AP) - Washington Gov. Jay Inslee and other state Democrats are criticizing a conservative state representative for appearing to support spying on political opponents. SAN FRANCISCO (AP) - San Francisco's renowned waterfront hosts joggers, admiring tourists and towering condos with impressive views. It could also become the site of a new homeless shelter for up to 200 people. INDIANAPOLIS (AP) - Authorities on Monday released video of a man suspected of killing two Indiana teenagers two years ago and urged the public to scrutinize the footage, which shows him walking on an abandoned railroad bridge the girls visited while out hiking the day they were slain. COLUMBUS, Ohio (AP) - Ohio's Supreme Court will hear arguments Wednesday in an appeal involving a defamation lawsuit that alleged a television station falsely labeled three siblings as "robbers." FALLS CHURCH, Va. (AP) - A federal appeals court on Monday rejected a bid by former Army intelligence analyst Chelsea Manning to be released from jail for refusing to testify to a grand jury investigating Wikileaks. The three-paragraph, unanimous decision from a three-judge panel of the 4th U.S. Circuit Court of Appeals in Richmond rejects both Manning's argument that she was erroneously found in civil contempt of court and her request for bail while the contempt decision is litigated. HARRISBURG, Pa. (WHTM) - New money is aimed at helping more toddlers and their families in Pennsylvania. HARRISBURG, Pa. (WHTM) - In celebration of Earth Day, Governor Tom Wolf and First Lady Frances Wolf announced an LED initiative at the Governor's Residence on Monday. YORK, Pa. (WHTM) - A York man was wounded in a shooting incident in the city Monday afternoon. HARRISBURG, Pa. (WHTM) - Police say they have identified a 5-year-old girl who was found alone along a suburban Harrisburg roadway on Monday morning. 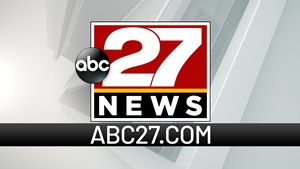 © © 1998 - 2019 abc27.com | Nexstar Broadcasting, Inc. | All rights reserved.